Bedrock Learning is proud to partner with the following industry leaders. A leading international, not-for-profit, industry organization that encourages the development and understanding of home and building automation and promotes advanced technologies in homes and buildings. Its members and industry contacts are leaders in advancing integrated home systems and building automation worldwide. CEDIA is the international trade association and central touchpoint for member companies that represent every facet of the ever-evolving technology market. The association powers integrators’ passion by providing development pathways that move them to the next level by providing education, community, resources, and vision. CEDIA members deliver technology solutions that allow people to have their best moments in life from the comfort of their own home: life lived best at home. 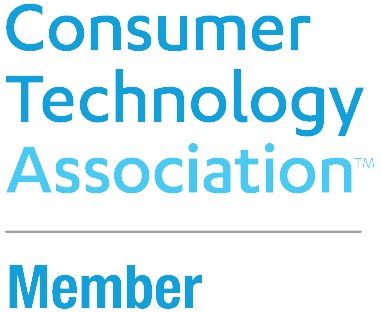 As a catalyst to the dynamic technology industry, the Consumer Technology Association (CTA)™ accelerates growth and progress for the fast-paced economy. With leading market research, CTA educates members, and by establishing standards, CTA shapes the industry at large. Every January they produce the Consumer Electronics Show (CES)™, with more than 170,000 attendees from across the globe who thrive on the business of consumer technology. Core Brands combines the product and marketing strengths of iconic and award-winning control, audio, power management, connectivity and video distribution brands including ELAN®, SpeakerCraft®, Gefen®, Niles®, Panamax®, Proficient®, Furman®, Sunfire® and Xantech® to deliver a portfolio of connected home solutions to its channel partners and end users. Core Brands is a Nortek company. Nortek Inc. is a global diversified company with leading brands and innovative, technology-driven products and solutions for lifestyle improvement at home and at work. The information leader and resource for the connected home industry, provides an unparalleled home technology resource for professionals and consumers worldwide. Creates easy to use IP-enabling products for the residential, commercial, and educational markets. Innovative products connect previously unconnected devices to a network and easily integrate with third party offerings such as standard PC hardware, network-based software, and other systems. Provides a complete line of wholesale automation products, structured wire products, and free technical support services. Save your own time by using ours for complementary system designs, product advice and troubleshooting services by the best in the business. Offers a complete online Home Technology resource library, including articles, links, reviews, and much more. The specialty consumer electronics buying group under the Nationwide Marketing Group umbrella, has been helping independent appliance, electronics and furniture dealers not only survive, but prosper in a volatile and competitive marketplace for over 30 years. With 2500 dealer members, 6500 store fronts and over $10 billion in buying power, Nationwide is America’s foremost selling organization. Specializes in merchandising and coordinating consumer electronics installation services through the Nation's largest network of independently owned mobile and home electronics installers. This network of professional installers allows InstallerNet to merchandize professional installation services for its clients. The leading manufacturer of home control, lighting, and cabling products for homeowners and businesses around the world. Leviton products keep you safe, manage your energy consumption, and provide home entertainment, all in a coordinated and easy to use manner. The premier magazine and professional resource for the residential security industry. Gathers and relays information about industry trends, and ranks the SDM Top 100. Provides dealers and resellers with a wide selection of affordable electronic home improvement and home automation products. Smarthome has become the single, easy-to-use source for thousands of affordable lighting, security, and home entertainment products. The TechHome Division of CTA represents the entire channel for home control and networking products. The mission of the TechHome Division is simple: increase sales and support of consumer electronics products by professional integrators. TiO is an entirely new approach to home automation with a commitment to "Sophisticated Simplicity." Driven by an "outside in" philosophy that guides every decision, TiO focuses on the customer experience and truly adapts to the client's lifestyle. In other words, TiO is all about you!